Bear Grylls is coming back to TV and this time, the viewer gets to decide if and how he survives. Netflix has announced a new series starring Grylls titled You Vs. Wild. We recently heard that the streaming service was gearing up for more interactive programming following the success of last year's Black Mirror: Bandersnatch. This time around, they're going the reality route and letting their subscribers be in control of Grylls as he tries to survive in various environments around the world. Netflix has already offered up a tiny little taste of what to expect from You Vs. Wild. They've released a brief, interactive teaser trailer that sees someone asking several survival questions on the internet. Shortly, a FaceTime request flashes across the screen. At that point, the viewer is offered the choice to accept or decline his call, both of which come with a different outcome. Bear Grylls had this to say about the series in a statement. "I'm so proud to deliver this first-of-its-kind live-action interactive series, really giving viewers an all access pass to explore the world and its landscapes in my boots." The new series sees Bear Grylls head to dense jungles, towering mountains, brutal deserts, and mysterious forests, with tough decisions around every corner. Instead of Grylls going over his usual decision-making process and explaining why he's doing what he's doing, it's the viewer who will make all the decisions in regards to whether or not Bear succeeds or fails. Black Mirror: Bandersnatch allowed viewers to change certain story points within the movie. Here, they are actually going to decide what an actual human person is going to do. It's very different and represents a new type of storytelling for the streaming era. Bear Grylls is best known for his work in the Discovery TV series Man vs. Wild, which debuted in 2006. The series, similarly, saw Grylls, a former soldier with years of survival training, doing his best to survive in harsh landscapes under ideal conditions. Only, in that case, he was at least in control of his own destiny. Though, he would still make decisions that yielded entertaining results. The series ran for a total of seven seasons and went off the air in 2011. Grylls has hosted several other survival shows including Running Wild, The Island and Get Out Alive in the years since. The show's first season will consist of eight episodes. In addition to the teaser, a poster for the series has also been shared online. 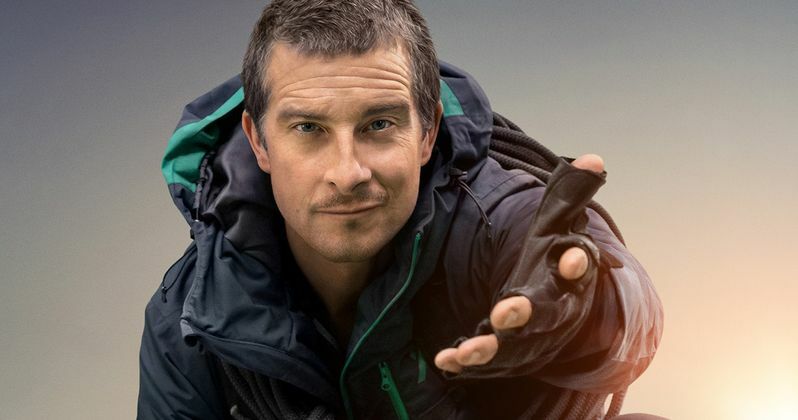 Ben Simms directs the new series, with Bear Grylls, Chris Grant, Drew Buckley, Ben Silverman, Howard Owens, Rob Buchta and Delbert Shoopman on board as executive producers. Luckily, we're not going to have to wait very long to see how this is all going to work, as You Vs. Wild is set to arrive on April 10. Be sure to check out the teaser trailer from the Netflix YouTube channel below.